How’s your Spanish? Even beginners should know that la boca means ‘the mouth’ in English. The barrio of La Boca is so named because it is situated at the mouth of the river that runs along the capital federal’s southern border: the Riachuelo. This proximity to the river is in fact the reason for La Boca’s existence: the barrio used to consist solely of shipyards and of the houses of people who worked in them. The houses were built with cast-off ship building materials, meaning that they were largely constructed of materials such as planks, sheet metal and corrugated iron. Today La Boca remains a rough, working class and downbeat neighborhood, despites the hordes of tourists who descend upon its attractions every weekend and most weekdays too. Strikingly ugly both from a distance and up close, La Bombonera is of course the stadium that is to the world famous Boca Juniors. It’s possible to do tours of La Bombonera, but the best way to see it is during a game, and even better if Boca happen to be playing their sworn enemies River Plate. The clash between these two teams is known as the Superclasico, and is regularly included on ‘100 things to try before you die’ lists. Lots of companies do tours that allow you to take in a game; one is Landing Pad BA. Caminito is the work of the local La Boca artist Benito Quinquela Martín. In 1960 he painted the walls of what was then an abandoned street and erected a makeshift stage for performances, and it quickly became a haven for artists. With its cobblestones, colorful corrugated-iron houses and artists’ studios, Caminito sure sounds great on paper. Unfortunately, these days it’s an absolutely rampant tourist trap, full of touts, hawkers, hustlers, overpriced knick-knacks and bland food. Fair play to the good burghers of Caminito – they’re just trying to make a living – but this is the sort of place many people avoid like the plague. There’s lots of open-air tango on display to entertain the patrons at the outdoor cafes, which is fun if you haven’t seen it before. Once you tire of the fútbol at La Bombonera and of the Maradona impersonators at Caminito you can head over to Fundación Proa at Pedro de Mendoza 1929. It’s an excellent modern and contemporary art museum that hosts international art exhibitions and has a gourmet café with river views on the third floor. It’s open from 11am to 8pm, Tuesday to Sunday. La Boca has a handful of good restaurants, but no bars or nightclubs to speak of. Because most of La Boca is best described as ‘seedy’ after dark, it’s advisable to take taxis to and from your destinations. •	El Obrero (Agustin R. Caffarena 64) is a La Boca and perhaps even a Buenos Aires institution. It’s one of those downbeat neighborhood parillas that does ‘simple’ very well and becomes wildly popular for it. Inside sporting memorabilia adorns the walls and in places hides peeling paint. For the time being at least the clientele are a mix of locals and tourists looking for an authentic experience – similar to El Desnivel in San Telmo. As for most parillas, the food is uncomplicated but very cheap and very tasty. El Obrero gets very busy, so go early if you don’t want to wait. •	About as to the other end of the spectrum from El Obrero as it’s possible to go is Patagonia Sur (Rocha 803). It’s exclusive, it’s owned by Argentina’s most famous chef (Francis Mallman), and it’s AR$310 for a three-course set menu. 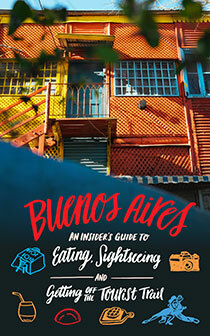 You could get very well fed six times over for that kind of money elsewhere in Buenos Aires, so is it worth it? In a word, yes. The menu features great ingredients and twists on Argentine classics, such as empanadas, and never fails to deliver. La Boca is a bit of an odd fish. It’s fiercely and unreservedly working class and down-at-heel, yet it has a couple of very, very popular tourist attractions. It’s not a place where expats are going to want to live (the chances of being robbed after dark are just too great), but it still has some tempting restaurants, a great art museum, and an interesting history to boot. 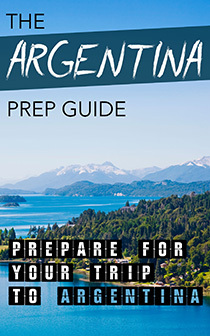 Pingback: Reiseguide til Buenos Aires – Theo sin reiselivside!